Susan Ciminelli Day Spa is showing its support for the first “Sizzle in the City” event taking place at Saks 5th Avenue on Thursday February 25th from 6:30pm-9:30pm. Join other fabulous New York women at the very first “Sizzle in the City” event and enjoy cocktails and hors d’oeuvres as you network and participate in exclusive after-hours shopping with a generous 15% discount from Saks. At the event, you will hear from Saks Fashion Experts on “How to Dress for a First Date.” Also, Terri Sloane, Matchmaker and Coach, will present her very own Dating Tips and reveal the Secrets of What really Attracts Men. “Sizzle in the City” events will provide venues for you to connect with other women, be stimulated and motivated, to learn and grow, and add an abundance of joy into your life. 2010 is the year to refresh and renew yourself in the company of like-minded women. Please join us and many fabulous women on Thursday, February 25th from 6:30pm-9:30pm at Saks Fifth Avenue on the 8th Floor. Look forward to the beginning of the week with Super Tuesdays at Susan Ciminelli Day Spa. It’s the perfect way to rejuvinate your mind, body and soul to prepare for the week ahead. Call 212-750-4441 to book an appointment and make sure to say you want the Super Tuesday special. Click on the image to view special in a larger size. Susan Ciminelli Day Spa is proud to announce its newest addition, hair colorist Giselle. Formerly of Pierre Michel Salon, Giselle has accumulated over 20 years in the industry, starting out as an apprentice with Louis Licari of La Coupe Salon. She made the smooth transition to the Susan Ciminelli Day Spa in January, 2010. Giselle, a native of Maine, entered into the beauty business with an innate understanding of the use of color. With a bachelorâ€™s degree in studio arts, she came to New York City using her inner artistâ€™s vision to master the art of hair color. Throughout her career, Giselle was recognized for her artistic skills and her unique way of weaving fine highlights and low lights simultaneously allowing for her clients to easily maintain their color. Praised highly by beauty editors all over the globe, Giselle has been featured many times in Allure Magazine for her â€œGod Givenâ€� highlights as well as In Style, Vogue, Elle, Marie Claire, Real Simple and Shape magazines. Giselle was also selected by Clairol as their spokesperson which included hair color makeovers for national TV, speaking at press events and â€œhow toâ€� hair color instructional videos. She was the chosen hair colorist for the ABC reality TV show, â€œStarting Overâ€� which took her into peopleâ€™s homes around the U.S. to make them over. Giselle has colored the hair of Sharon Stone, Renee Zellweger, Elle MacPherson and Carole King in addition to her already impressive client roster. 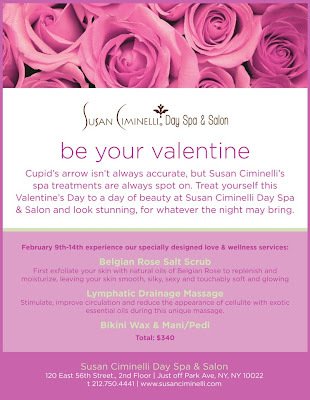 With her impeccable talent and easy going attitude, Giselle and the Susan Ciminelli Day Spa should prove to be a perfect match.